The chewed gum, fingernail clippings and cigarette butts you leave behind in public places could say a lot more about you than you’d like to imagine. 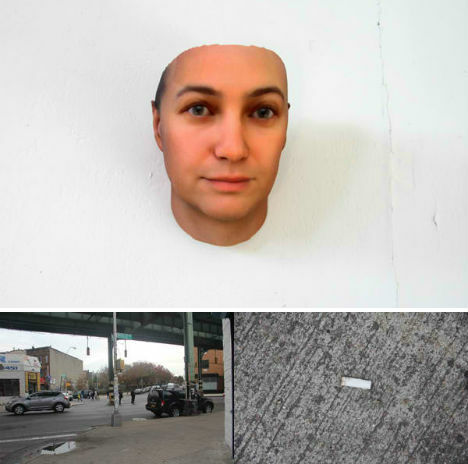 Artist Heather Dewey-Hagborg makes this abundantly clear with her series, ‘Stranger Visions’, which reproduces people’s faces using DNA extracted from such forensic evidence collected in New York City and Brooklyn. Dewey-Hagborg is a PhD student studying electronic arts at Rensselaer Polytechnic Institute in Troy, New York. 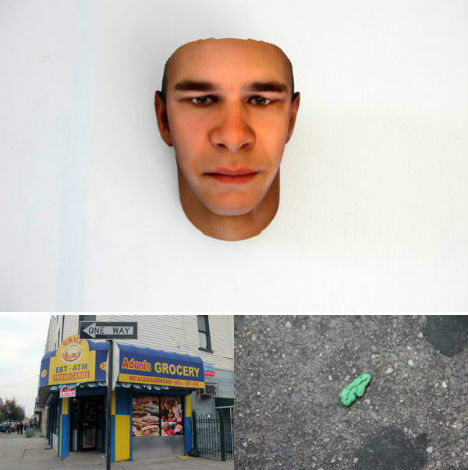 After extracting the DNA from her samples, she focuses on specific genomic regions, sequences them and then enters the data into a computer program, which produces a model of the face of the person who tossed that item onto the ground. 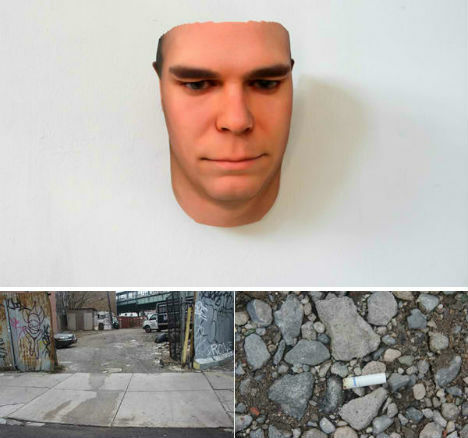 From those models, Dewey-Hagborg produces sculptures of the faces using a 3D printer. 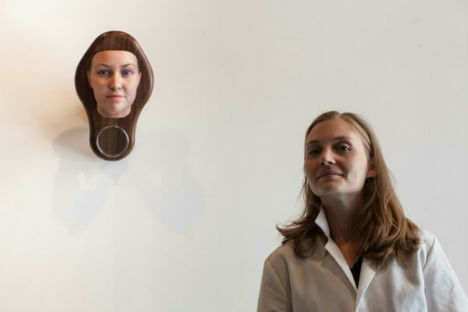 These life-sized portraits, which look similar to death masks, hang on gallery walls, often beside wooden boxes holding the original samples and showing photographs of where they were found. The artist learned about DNA extraction from a course in molecular biology at Genspace, a do-it-yourself biology lab in Brooklyn where she does some of her work. She uses standard DNA extraction kits ordered online to analyze the DNA. The results are shockingly detailed; a mask of her own face made using the same technique shows just how accurate the results can be. However, there’s no way to tell age from DNA, so the computer produces a 25-year-old version of the person. Learn more about the process at Smithsonian.